Get notified of sales, new products, and other occasional newsworthy bits! The Molotok is designed using modern forward geometry to create a bike that has a long front center, long wheelbase, long fork travel, and what the heck, let’s put plus tires on it. It’s boost frame can accommodate up to 29×3.0 tires. It has been tested with 3.0 tires and the new semi-plus 2.6 sizes coming out. It’s a fun ride either way. The 3.0 tires provide tons of traction and roll over everything in sight, while the 2.6 rubber isn’t far behind and feels a bit more nimble. The titanium construction is light, and the prototype with 29×3.0 rubber was only 29 lbs ready to go. It’s probably pretty obvious that this bike wants to go downhill, and it has provisions for an internal dropper post. But, it will also climb! 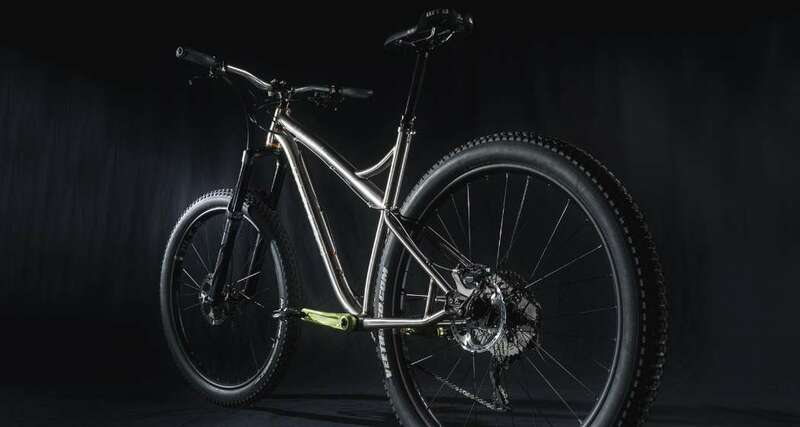 With a 74-degree seat tube angle, the rider is up forward of the relatively short 435mm chainstays, and the bike climbs well without lofting the front end unexpectedly. Fork flop is minimal with the 66-degree head tube angle. This bike can rail corners, too, despite it’s length! The Molotok is a trail simplifier. It simply rolls over obstacles that would cause other bikes to get rejected or stall out. It flows up, along, and down the trail and is a great platform for riding all day. The cockpit is surprisingly comfortable because the reach to the bars is normal due to the seat angle. 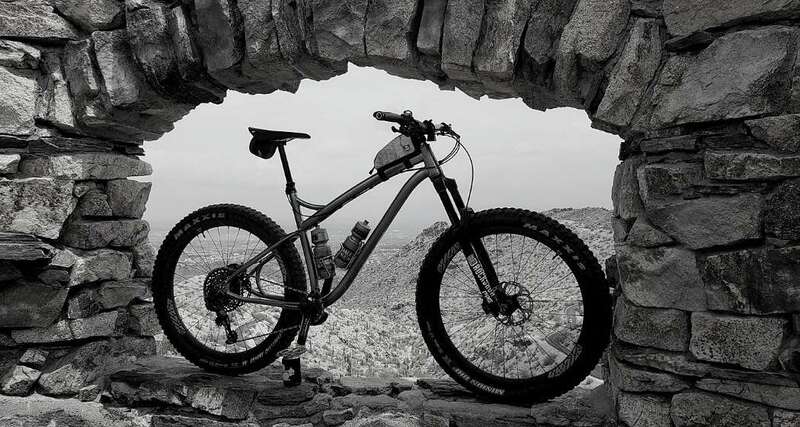 Tested on the Arizona Trail and many other rocky southwest trails, it’s a solid bike to use for trail, all mountain, bikepacking, and hardtail-style descending. If all you have is a Molotok…hammer the trails! Geometry numbers in millimeters. 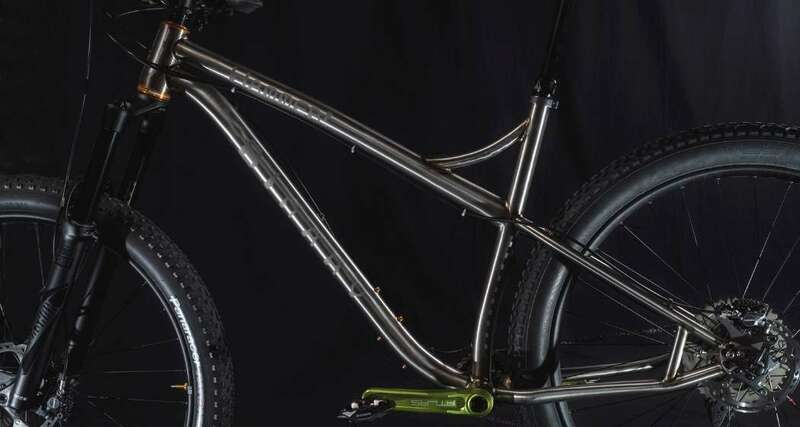 Dimensions are using an unsagged 160mm 29er fork. Standover measured from midpoint between seat tube and head tube. Does your unique riding style or environment require something a little different from our standard frame features in order to optimize your shredding experience? Contact us to discuss how we can help provide the characteristics you need! Copyright 2019 © Binary Bicycles, LLC | All rights reserved.